Investigation of renewable energy is nowadays a must for the society. Convert light into electricity through photovoltaic effect offers the possibility to harvest Sun green and free energy, and this is done using the ubiquitous solar cells. These are usually based on semiconductor materials and the science behind photovoltaic conversion in seminconductors is well understood. 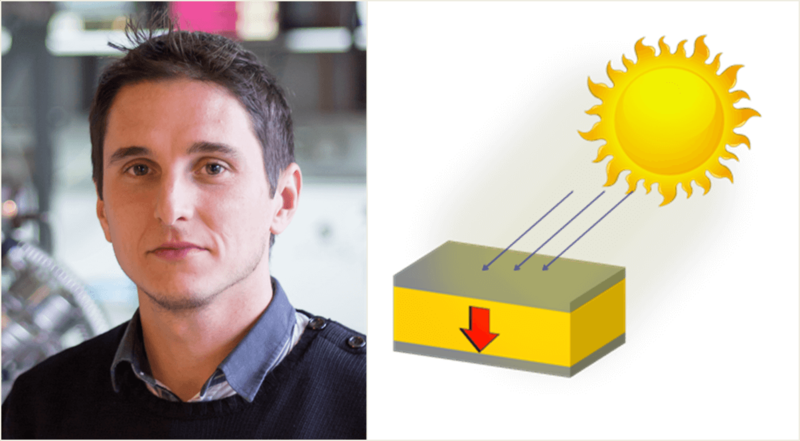 The goal of this challenging project is to use a new kind of material, the ferroelectric semiconductor, to exceed the efficiency limits that dictate the physics underneath photovoltaic conversion in semiconductors, and built more efficient solar cells. Dr. Ignasi Fina, from the MULFOX group (Laboratory of Multifunctional Oxides and Complex Structures), will collaborate with Dr. Rafael Jaramillo, from the MIT, who leads a group on Electronic Materials, and is focused on the synthesis, properties and applications of these materials, especially oxides and semiconductors for energy applications and information technologies. The Massachusetts Institute of Technology (MIT) aims to promote knowledge and research in science, technology and other areas that serve to address the great challenges of the 21st century. The "la Caixa" Foundation, aware of the MIT potential, has created, in collaboration with this institution, the call for projects MIT-SPAIN "la Caixa" Foundation SEED FUND. Through an annual call for proposals, the MIT-SPAIN "la Caixa" Foundation SEED FUND provides grants that support research projects developed jointly by universities and Spanish research centers and MIT research groups. Energy: new sources of energy and renewable energies.